We are excited to announce our latest development – support for multiple accounts in Fleep! You can now log in to and switch between several Fleep accounts within the app. It works on the Android, iOS, Mac and Windows apps. (It is not supported in the web browser. You can either use different web browsers for different accounts or download the native app). As we are in the business of simplifying and improving online communications, we realized multiple accounts support was something that was missing in Fleep. For example, let’s say you’re a salesman by the day and a stand-up comedian by night. You may want to keep your identities separate in Fleep, managing the emails and conversations separately. Now you can! 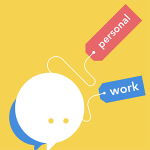 Or perhaps you’d prefer to keep your personal and work communications separate – while labels may help with this, multiple accounts makes it even easier. Or maybe your team has a generic Fleep account or email address that several people have access to – be it Support, Sales or Contact Us. Now you can add that to your Fleep app too, alongside your own account, so you no longer have to sign out and sign in to manage all the accounts you have access to. We have built multiple accounts support for all platforms! You can sign in to multiple accounts from all the native apps, both desktop (Mac, Windows) and mobile (Android, iOS). Once signed in to one account in the desktop apps, find ‘Sign in to Another Account’ from the top menu bar (under ‘File’ in the Mac app, under ‘Fleep’ in the Windows app). On the mobile apps (Android and iOS), click on the menu icon (‘burger’ icon that looks like three stripes), and choose to sign to another account from there. Once logged in, you can easily switch between the different accounts. What else should I know about multiple accounts? Do note that you will receive notifications from all of the accounts that you are logged in to. Also, there is no support for multiple accounts in the web browser. You can, however, use different web browsers for different accounts or download the native app for Windows or Mac to use multiple accounts. As we’re on a mission to replace email conversations, we have developed a feature that will allow you to migrate your conversations to Fleep and keep your existing email identity. In fact, support for multiple accounts in Fleep apps was built in preparation for that feature. 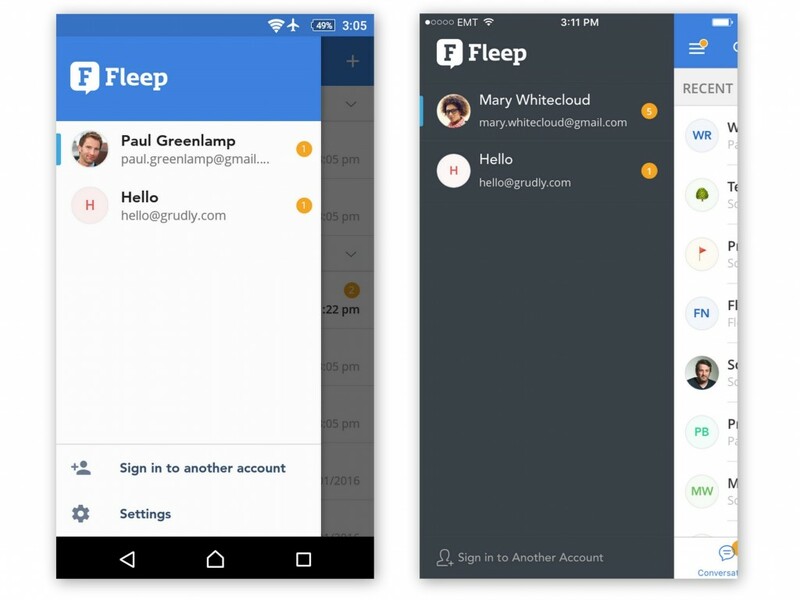 People often have multiple email addresses or identities, so it became clear to us that Fleep needs to accommodate for that, to have the option to switch between multiple accounts. So, if you’re asking what’s next – connecting your Fleep account with your existing email account is next. Have feedback or questions for us? Contact us at support@fleep.io. Let’s also stay in touch through our social media channels – Twitter, Facebook, LinkedIn.